Laugh all the way to your next birthday ... and beyond! We all age, but why grumble about it? If you're still here, have some fun and enjoy life. The best way you can do that is through laughter. 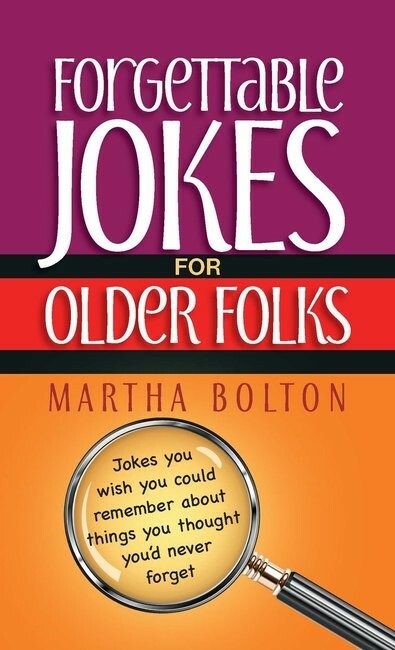 From well-known comedy writer Martha Bolton comes a refreshing book of jokes for older folks. Topics for laughter include senior foibles, doctor visits, grandchildren antics, travel, politics, pets, technology troubles, good ol' days, and love. Give yourself a laugh vacation. Read this book, share it with your friends, and smile your way to a better outlook on life. And these days, who couldn't use some extra laughs?